Blustery weather and cold showers couldn’t dampen the enthusiasm evident at Gordon’s Bay as riders squared up to Liz and Ryan’s testing course at the final of the 2018 North West Riding Clubs 2-phase and dressage league. The dressage arena, set out in their spacious sand arena, was tough to ride good tests in as riders were constantly distracted by the stunning views, but some top class performances were produced. 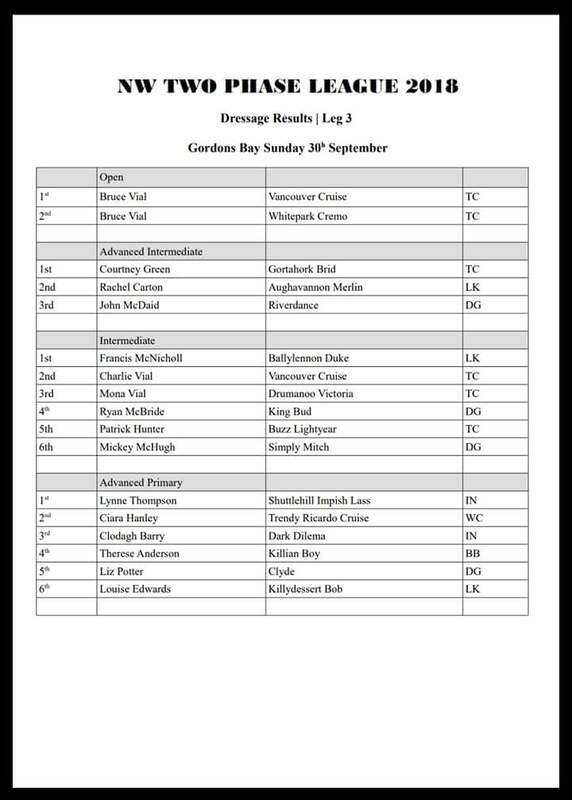 Notable from our own club was Francis and Bonzo, who produced an outstanding performance to win the highly competitive intermediate section on the day. This pair has made great progress over the past year and are becoming a force to be reckoned with. Also showing good improvement since the Lenamore outing were Suzanne and Jack, who were just put of the ribbons and would have benefited from a fourth leg in the league. Louise and her trusty steed Bob were in great form, given that Louise hadn’t sat on him for five weeks, and rode a test befitting of the sixth place rosette on the day. Rachel and Merlin were beaten into second place on the day by Courtney and Gortahork Brid. This pair were superb throughout the league and deservedly won the overall advanced intermediate title. The cross country proved challenging on the day, as befits a league final, and our club was lightly represented on the field. Cliff and Shyla were unable to make the date, and unfortunately missed a chance to bag some loot, but Francis and Leo took to the battlefield to fly the black and Amber flag in his stead. Unfortunately their mounts just weren’t ‘feeling it’ on the day and they both fell prey to the tricky obstacles. 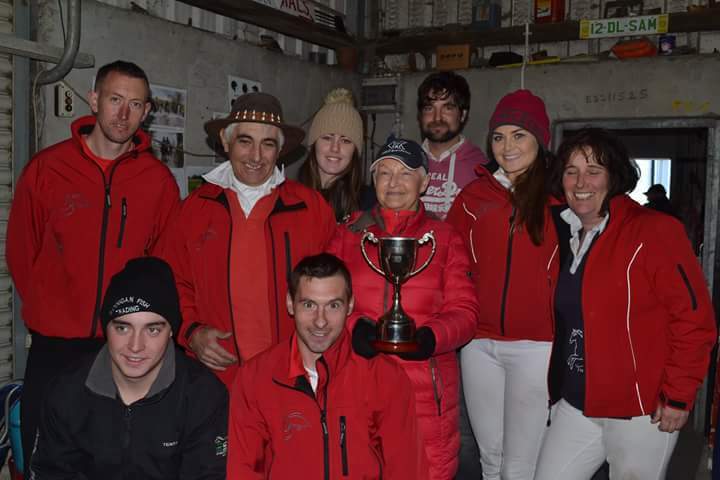 Tir Conail came out victorious as the overall league-topping club, which was well deserved given the massive turn out from this vibrant and active club. Full league results will be published very soon but in the mean time enjoy the following albums. Francis and Vera have been working wonders for the last few days. Here are the the fruits of their labours — show jumping teams and running order and your dressage test times. The news flashes coming in throughout the day told the story of a fairytale outing to the Masters Series Finals in Mullingar on Sunday. What all began at the Northwest League at Templemore in January came to fruition on the AIRC’s national stage. Well done Donegal. Well done neighbours. 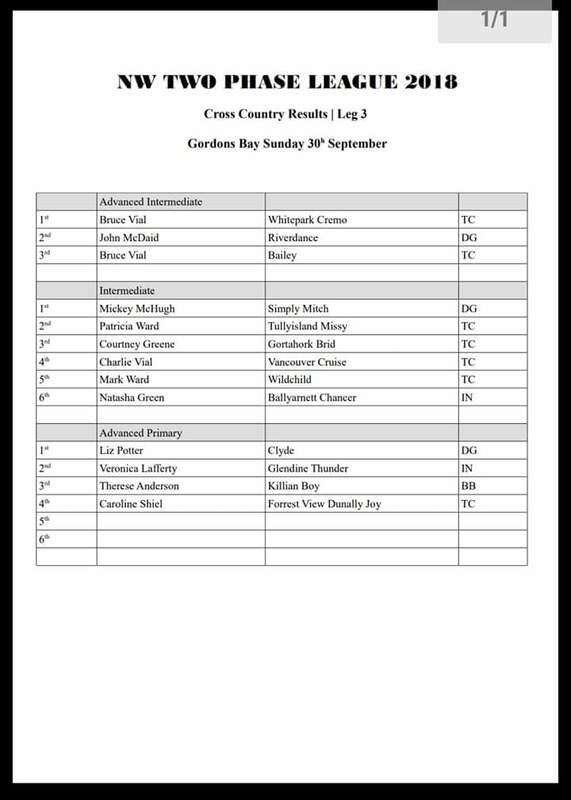 But most of all, well done to our very own Rachel, Dawn, Cormac, Shauna and, last but not least, the club whippersnapper, Emma. We are incredibly proud of your achievements. Cold alright, but it was dry, sunny and very successful for Letterkenny at the third leg of the Northwest League at Templemore last Sunday. On a day when not only league points but also Masters Final qualification spots were at stake, our riders covered themselves in glory winning all three of the senior classes and mopping up with plenty of placings. Prizes will be awarded at our annual inter-club dinner dance which takes place this year on Saturday 28 November. While the rest of the country battled torrential rain, for once this summer Donegal got off lightly. Conditions at Lenamore for the third and final leg of our 2-phase league were positively balmy in comparison to the weather at Killybegs last time. Thanks to everybody who came out to compete and to help on the day. it’s been a great inter-club effort and a lot of fun. Congratulations to the winners. Thanks as always to Liz for her trojan work on the results. The first 3 dressage riders (ADV INT) have approx. 25 mins after their dressage test to get ready for their XC round, riders after this all have between 35 to 50 mins to get from dressage arena to start box of the XC phase. It’s important that riders arrive in good time to walk the XC course before they ride their dressage test as there will be no time in between. Marina is our Director of Operations so point all questions about the volunteer rota and other tasks towards her. All hands to the pump! It should be a great day and the best of luck to all competitors. Go Letterkenny!